There are several amazing things in this statement. First, it is rather amazing that American children below the ages of 6 or 7 can believe in Santa Claus. The Santa myth is crazy. Flying reindeer, chimneys, red noses, elves. Six-year-olds have large brains capable of coordinating extraordinary perceptual, motor and cognitive tasks, including tying shoes, language, and recognizing thousands of people and objects. Why can’t they see that the Santa myth is crazy and reject it? Second, Daisy’s statement suggests she has two competing belief systems in her head. One, which I’ll call the wished belief system, is that the Santa myth is true. It’s “wished” because it fits a world as she wants it to be. The second is the rational belief system which states that the Santa myth is fiction. Daisy recognizes that the rational belief is gaining strength. The wished belief can only hold out another year, while her rational (brain) system is maturing. Before finishing Daisy’s quandary, another anecdote. My sister is two years older. When she was 6 and discovered that Santa was fiction, she was upset. Her understandable reaction was to make her little brother equally upset by torturing him with the truth. While I normally placed great stock in my sister’s opinions, what she was telling me seemed impossible. I calmly argued back, “What about the cookies! Who eats the cookies?” and continued my belief a few more years. My sense is that our brains build belief systems. A belief is a fact about the world, built on sense data and past experience. A belief system is a set of beliefs that, in some manner, forms a unified structure. The perfect belief system is something like a geodesic, with facts forming the structural elements. Our belief systems, however, are always imperfect. In any complex belief system there is some weakness. Certain structural elements don’t fit correctly. One element must be added to the mix: something I’ll call a rational operator. The rational operator is the computational process that inspects a belief system for flaws, mutually inconsistent facts, or mistakes of logic. While any two of these can be true, the set cannot be true. This inconsistency may be flagged by the rational operator. A child’s failure to accept the obvious falsehood in myths or stories can be due to one of two factors: flaws in the child’s rational operator or attractive features of the belief that make it difficult to abandon. The child may recognize the weakness of the belief, but resist the change. This is apparently what was happening to Daisy when she decided to maintain her belief in Santa for another year. As the brain’s rational operator matures, the error signal would presumably amplify, and the belief structure would be rejected. The rational operator would either reject all beliefs in the structure, or, perhaps, reconstruct one of the belief-facts (Santa has a rocket-powered sled; or a fleet of drones), eliminating the inconsistency. Returning to Daisy, how can she hold two belief structures in her brain? What does it mean to call one of her structures a “wished belief” system? 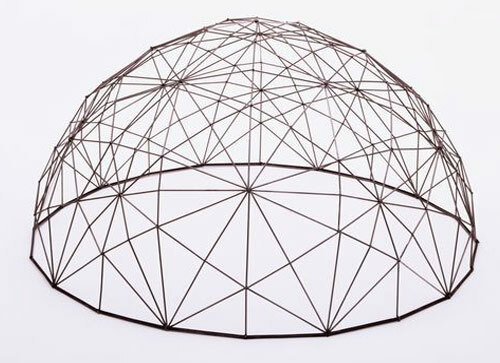 Using the geodesic metaphor, its not difficult to imagine conflicting structures alternating in brain activity space. They are incompatible in that they are explaining the same thing. Ultimately, one must be rejected. But what about a “wished belief”? First, consider each belief structure as an element of a larger belief structure, with the largest belief structure being a single self-world model. If a particular belief structure is an important element of the self-world model, it will be favored and resist elimination. There is inertia — brains don’t like throwing out self-world models. There is inertia to belief structures, especially the large ones. Second, belief structures may directly trigger or effect motivation and pleasurable (affective) states. Thinking of Santa makes me think of candy, and presents, and the natural grace of mankind. I won’t reject that readily for a negative world view. Religions are high-level belief systems. People accept, at most, a single religion. The Enlightenment is a belief system. Sleep is a state when the rational operator isn’t fully functional. You accept illogical and inconsistent facts. I’ll conclude by saying that it’s highly likely that previous work in philosophy, neuroscience, psychology and computer science deals with these issues. I plead ignorance. Although I have broad general knowledge in Neuroscience, and more superficial knowledge in the other fields, I know of little that is directly relevant. If readers know of relevant work, please comment (or write to me). In the holiday spirit, other comments are encouraged. 1 “Daisy” is a pseudonym. This entry was posted in Culture, Neuroscience, Philosophy, Psychology by jkubie. Bookmark the permalink. maybe you miss the point. Children, as well as many adults BELIEVE in a world far different than the one we perceive in with our senses. So did Jesus, Pharisees and many others. Faith covers a multitude of sins. Stephen, I think you can believe in stuff that is beyond our senses, such as the existence of god or gods. But there is a true conflict in belief systems when these supernatural beliefs come into conflict with natural beliefs. Perhaps children lack logical inference capacities to see the conflicts. I certainly hope that adults have sufficient logical capacities to see conflicts and try to iron them out. i agree that that children and many adults (most?) believe things that are hard to test. John, the question remains, why do many adults retain spiritual beliefs that fly in the face of rational beliefs. As I said, we construct our world out of essentially quantum data, hollow events that we fill in with our sensory modalities. Surely, adults COULDNT believe that Jesus raised men from the dead, walked on water….or could they? BTW, are you familiar with the data indicating that hippocampal cells react to religious experiences. Hmmmmmmmm……..